Looking to harness the first person and third person precision of the PC master race on your console? Surely, you can consider solutions from XIM Technologies, allowing you to use your keyboard and mouse of choice on some of these consoles. However, that means you have to purchase XIM Technologies’ solution, a gaming keyboard, and a mouse separately to establish the set up. 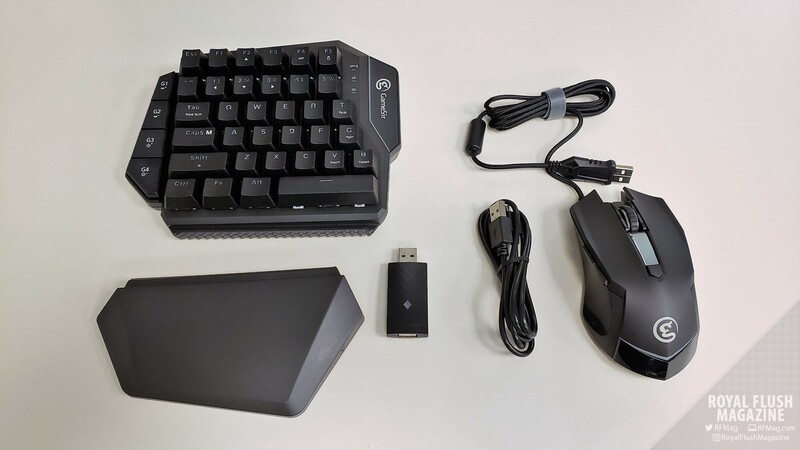 What if there was an all-in-one package that gave you the keyboard, mouse, and console connectivity for just $99.99? Well, it exists today as GameSir’s latest innovation, the GameSir VX AimSwitch. 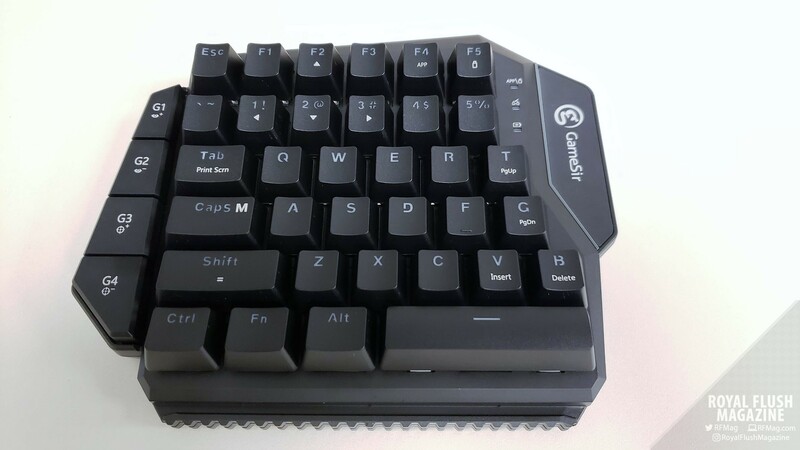 The GameSir VX AimSwitch is a keyboard and mouse combo that works on the Xbox 360, Xbox One, Playstation 3, Playstation 4, and Nintendo Switch. The setup consists of the left side of a gaming QWERTY keyboard, a wired mouse, and a USB dongle that makes all of the gaming-console- keyboard/mouse magic happen. The mouse plugs into the keyboard segment, with this combination transmitting wirelessly to the USB dongle. The USB dongle acts as the go-between for the console and controller of choice, transmitting the keyboard and mouse inputs in place of the controller’s. What you end up with is the functionality of the controller, accessible through the keyboard and mouse. *Diagrams taken from GameSir VX AimSwitch product page. Just like that, you are done with the setup and you are off to the races to play your favorite first person or third person perspective games. You do not need to install some sort of software or app on the console you choose. The inputs just start working. In terms of build quality, both the keyboard and mouse individually are gaming grade peripherals. The keyboard component consists of 38 mechanical blue switches. It comes with an adjustable and removable wrist rest. The mouse component is a 4-button mouse, housing a left-click, right-click, press-able scroll wheel, two thumb buttons, a DPI toggle button, and RBG lighting for some flair. Each component feels nice and sturdy. The mechanical blue switches are light, snappy and responsive, keeping the key-press sensation on par with that of a standard gaming keyboard. The adjustable and removable wrist rest is a nice touch, giving you an extra comfort option right-out-of-the-box. The mouse is light yet solid, tracking movement with the kind of accuracy and responsiveness you would want in a gaming mouse of any quality. I would have preferred a slightly more tactile feel to the mouse as its plastic surfaces were quite slick to the touch. However, summing how the pair felt as a whole, the GameSir VX AimSwitch provided a comfortable and satisfying feel overall. To start off, the GameSir VX AimSwitch at its core does EXACTLY what it promises. It accurately emulates a controllers inputs through the use of a mouse and keyboard. 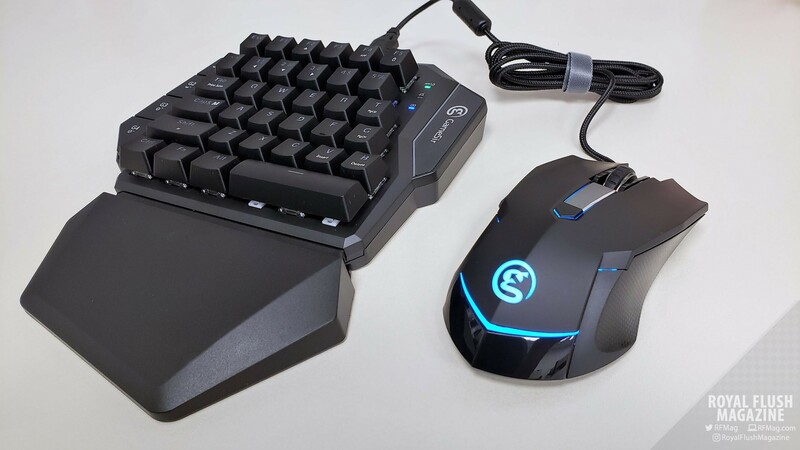 The GameSir VX AimSwitch has four hot keys built in that also do a great job at closing the gap between how the combo feels the first time you turn it on and getting the perfect mouse-tracking sensitivity in place. These four hot keys, G1, G2, G3, and G4, allow you to control sensitivity for two mouse-tracking modes, hip fire and aiming down the sights (ADS). So even if the game you’re playing lacks the option to tweak these two aiming styles separately, you have that ability straight from the GameSir VX AimSwitch. The GameSir VX AimSwitch is able to make that distinction since it assumes that you’re aiming down the sights whenever you hold down the mouse’s Right-Click button. Considering how this is a PC gaming norm, it is a pretty safe assumption to make. Beyond that, your only limits are with the games you try the GameSir VX AimSwitch on. Games that allow for both raw input and dead zone management for the right thumbstick allow this product to flourish. Raw or linear input settings allow you to use the GameSir VX AimSwitch’s mouse more accurately, and removes any aim compensation that developers put into a game to make it easier to aim with thumbsticks. The GameSir VX AimSwitch doesn’t have an X/Y Axis Ratio modifier option, so games that have vertical and horizontal sensitivity at different points may throw you for a loop. Dead zone control is especially important, as it is a game’s way of compensating for worn-out thumbsticks that causes aim to naturally drift. However, the heavier the dead zone setting, the less control you’ll have with the GameSir VX AimSwitch’s mouse when you are trying to make the slighter and finer movements. This effects long-distance sniping in a big way. If you’re trying to make very slight and fine movements with the mouse, a dead zone in play would cause those subtle movements to be ignored. Destiny 2 – After setting the look settings to the highest sensitivity in-game, I was able to play, maneuver and aim in Destiny 2 quite comfortably. There were two hurdles here, however, that slightly hampered the experience. One was how vertical aiming was slightly more subdued than horizontal aiming. While I can turn my guardian well and with accuracy, attempting to look up very fast was met with some resistance. The larger hurdle was the game’s built-in aim assist feature, which cannot be toggled off in Destiny 2. These are issues that you are bound to find in the console version of Destiny 2, seeing how these are mechanics Bungie implemented with controller gameplay in mind. These are not things you’ll encounter on the PC version, since that version assumes that you are already using a mouse and keyboard. Yet, overall, gameplay was still very manageable with the GameSir VX AimSwitch in Destiny 2 for the Xbox One. The Division 2 (Beta) – Starting off with a quick glance at the options, playing the console version of this game with the GameSir VX AimSwitch appeared quite promising at first. The game settings had options for tweaking hip fire, ADS, and more importantly, dead zone. So like with Destiny 2, I set everything to the highest aim sensitivity settings, except this time removed the dead zone. Both long and short horizontal panning with the mouse felt pretty on point. However, the vertical sensitivity issue I had with Destiny 2 was much more prevalent here, making vertical aiming even more of a chore. That alone lead to a lackluster experience with the GameSir VX AimSwitch with the Division 2 (Beta) on the Xbox One. Apex Legends – The popular-overnight and free-to-play title ended up being the best success story for console usage of the GameSir VX AimSwitch. 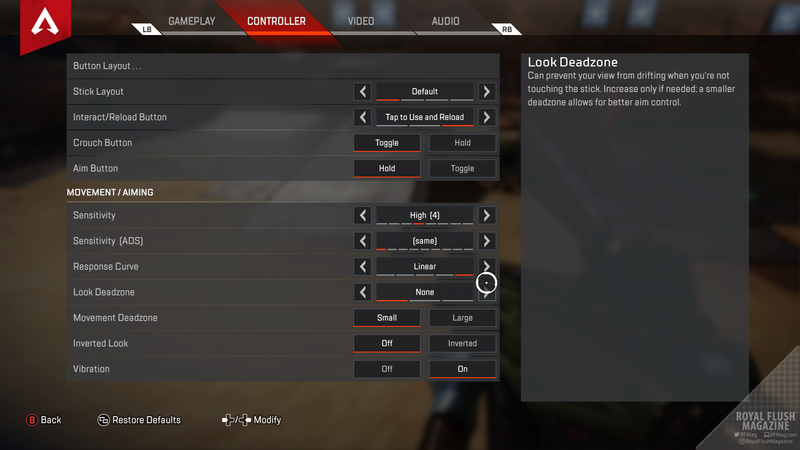 Apex Legends (Xbox One) had the two options necessary in the controller settings menu that would lead to the most seamless experience with the GameSir VX AimSwitch. Those settings again are Linear (aka Raw) Input and Dead Zone control. I noticed some strange manufactured aim drifting when I turn dead zone completely off, so I set it to “small”. After that I applied the Linear Input setting, adjusted my aim sensitivity, and I was off to the races. With all that in play, Apex Legends allowed for a close-to-perfect emulated PC gaming experience. Aiming and movement felt absolutely comfortable, authentic and spot-on. This was that PC-gamer spoiling experiencing I was looking for with the GameSir VX AimSwitch. Now because of this, I’m not sure if I want to go back to playing Apex Legends with a controller. When it is all said and done, the GameSir VX AimSwitch delivers what it promises, a solid keyboard and mouse experience on the console. You can even opt to use it on the PC, should you want to do some gaming but lack gaming quality peripherals. On a console, whenever the game employs controller options for dead zone and linear or raw input, the GameSir VX AimSwitch experience is a home run. Hopefully, GameSir adds an X/Y axis ratio modifier option to compensate for games that have separate levels of vertical and horizontal sensitivity. 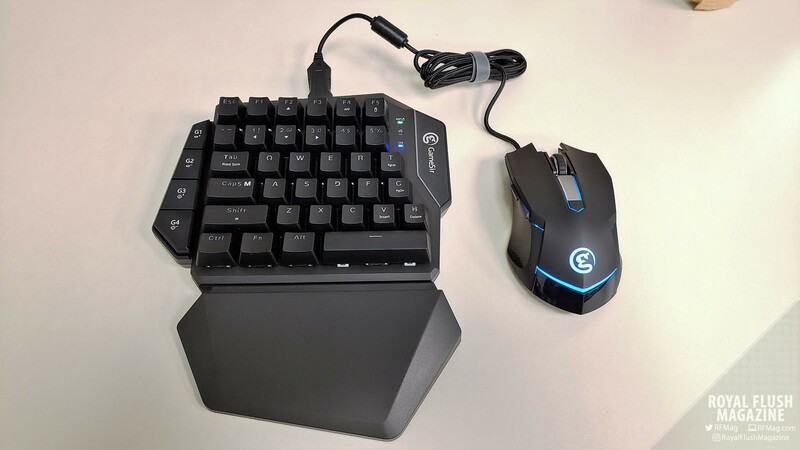 If you are a PC gamer that shutters at the idea of transitioning from keyboard/mouse to controller, then this a very affordable $99 solution for you. 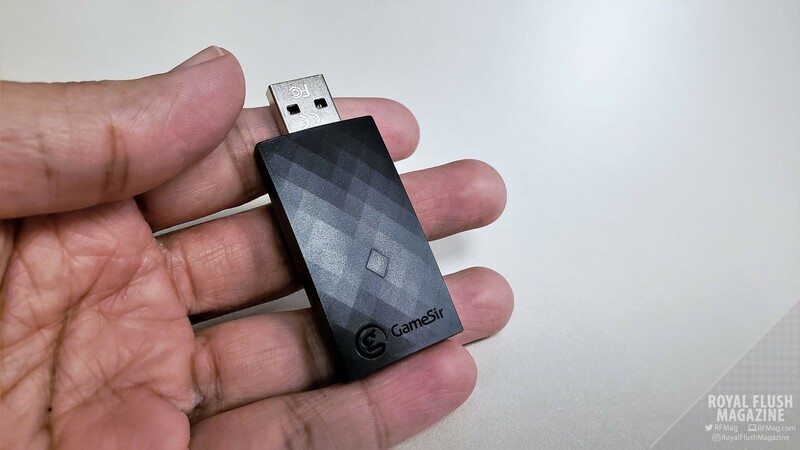 If you are a console gamer looking for an edge in a popular first-person or third person shooter, then GameSir made a product that you should check out. Do check out the GameSir VX AimSwitch for yourself on GameSir’s website here. † GameSir VX AimSwitch review unit provided by GameSir PR.